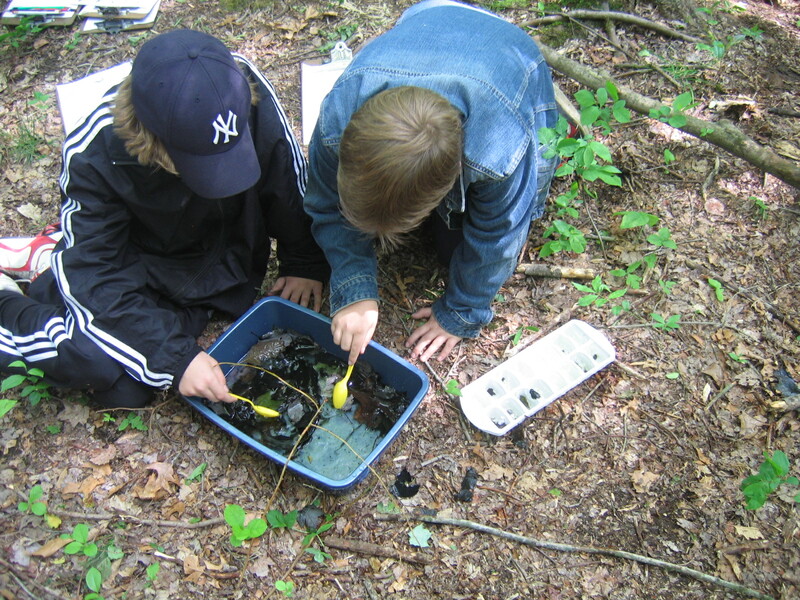 The Discovery Zone now offers guided and self-guided field trips that connect the abundant resources found at the Discovery Zone to school curricula, fulfilling Connecticut State standards for science at the primary and secondary levels, and other relevant subjects such as history and art. 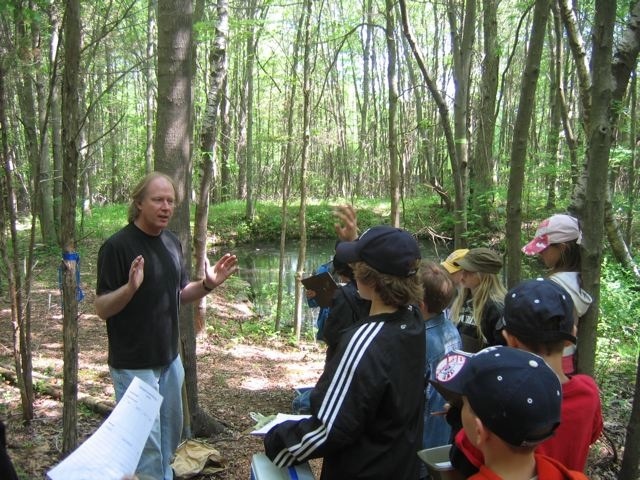 School Districts interested in utilizing the unique resources of the Discovery Zone combined with the expertise of trained Connecticut Audubon staff should contact us at discoveryzone@earthlink.net. Programs can be specifically tailored to fit your school's needs and an advance tour of the site can be arranged by appointment. 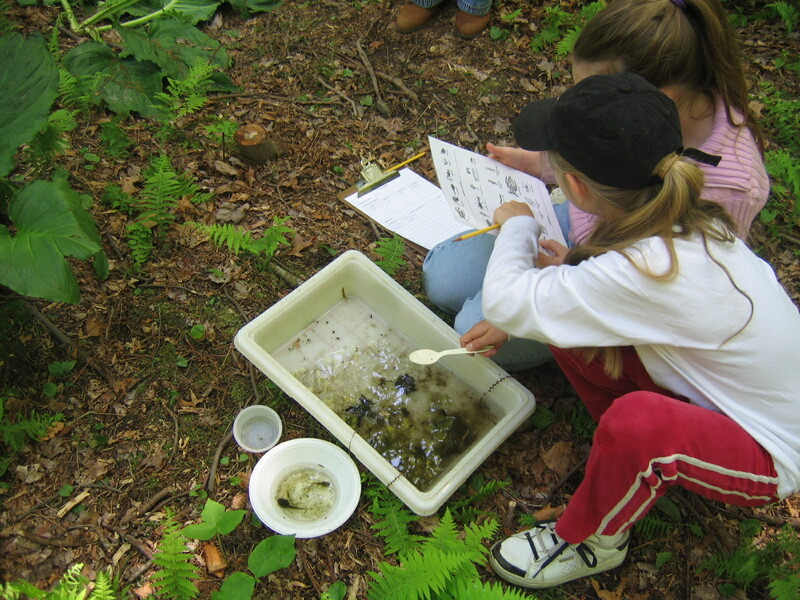 Cost for a guided field trip is $6 per student for a 60-minute program, $8 per student for a 90-minute program and $10 per student for a two hour program. Take your classes on a self-guided field trip to one of the state’s most significant interpretive trail systems with over 27 learning stations spanning four miles of trails. Created by Hank Gruner, Vice President of Programs for the Connecticut Science Center in Hartford, with assistance from Connecticut State Archeologist Nick Bellantoni. Based on availability, the Discovery Zone can be reserved for large groups and other organizations that wish to use our unique facility for educational purposes. Cost is $50 for a 2-hour program. Reservations are required. “...Everyone had a great time! Students were commenting on this being the best field trip ever! Students were saying: 'This is the best field trip ever! No one is telling us to be quiet like in the museum last year... Can we come back again?'"